Author: Katz, Daniel R. Set In . . . 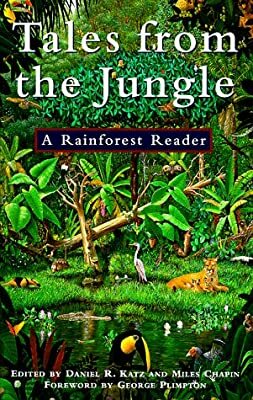 Description: The organizers of the Rainforest Alliance present an anthology of compelling, powerful, and sometimes irreverent fiction and nonfiction from the best writers of the nineteenth and twentieth centuries, ranging from Edgar Rice Burroughs to Douglas Adams. Tales from the Jungle is a diverse collection of stories by famous authors, biologists, and environmentalists who have been inspired by their experiences exploring jungles from South America to Polynesia. Selections include fiction by, among others, Graham Greene and Joseph Conrad, historical accounts of exploration and adventure, descriptions of rare plants and dangerous wildlife, stories that are frightening and others that are hilarious -- and some that are both. Passionate observations by such rainforest experts as David Quammen and Norman Meyers emphasize the need to conserve the rainforests -- sources of life and renewal for the future.